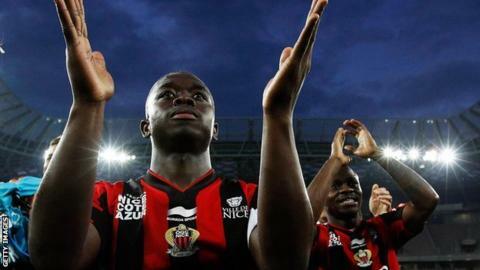 Leicester City have signed French midfielder Nampalys Mendy from Nice on a four-year contract. The 24-year-old, who won promotion to Ligue 1 under Foxes manager Claudio Ranieri when he was at Monaco, joins the Premier League champions for an undisclosed fee. He joined Nice in 2013 and made 110 league appearances for the club. Mendy is Leicester's third summer signing after goalkeeper Ron-Robert Zieler and defender Luis Hernandez. "I know the coach, I know his mentality and I know his philosophy," said Mendy. "When he speaks it's direct and clear and for me I like this." Mendy played in all of Nice's games last season as they finished fourth in France's top flight. He played five times for France Under-21s but is yet to make an appearance for his country's senior side.